Arrived at Kiddeminster around 10:30 after stopping at CountryWide on the way to buy some Taybrite. It was £12.99, a considerable increase since the last bag we bought back in April. We chugged round to Sainsbury’s to do the week’s shopping. 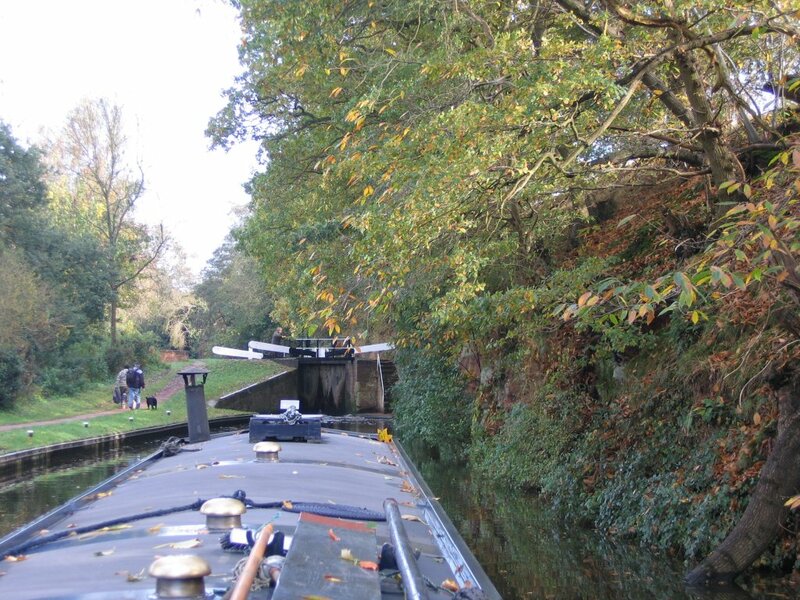 Then just about 4 miles and 4 locks north to near Caunsall bridge. Saw a kingfisher on the stretch below Wolverley Court lock, he just sat there on a branch as we went by. Of course we diddnt have the camera with us. By about 2;30 the weather was getting cold and dark so we stopped early for the night. It started to snow, huge flakes, but later turned to rain.